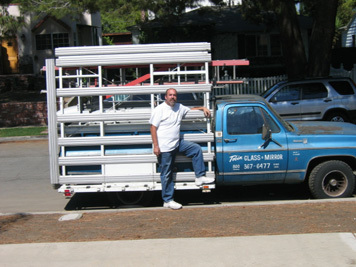 Currently located in Burbank, California, Tobin Glass and Mirror Co. is a family owned and operated, full-service glass company that has been working with residential and commercial customers throughout southern California since 1985. Owner Harley Tobin, pictured, has over 30 years of hands-on industry experience, and possesses an uncompromising commitment to quality craftsmanship and customer service. He is personally involved in every aspect of your job - from design help to measurements, fabrication, and installation. We know there are many glass companies out there to choose from, but few of them can match our attention to detail and our specific, tailored services. You may be buying mirrors, shower doors, or other glass products, but we are selling our personalized service. We are confident that you will be pleased with our quality of craftsmanship and customer service.